In anticipation of Tuesday's annual address by President Dalia Grybauskaitė, the last of her presidency, public relations experts are musing, what the head of state should say, wanting to settle matters in political life, which is succumbing to chaos. 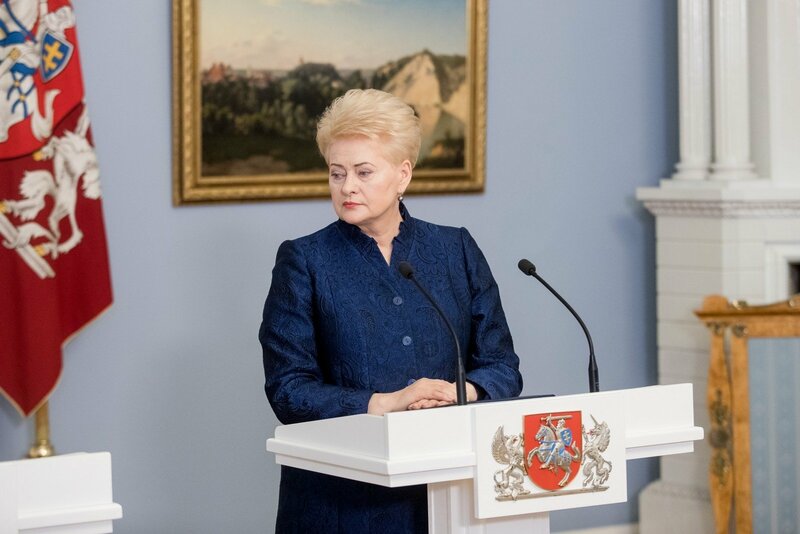 The ninth annual address of her two terms will be read by D. Grybauskaitė on July 12, Tuesday. The Constitution outlines a duty for the head of state to read an annual address at the parliament concerning the situation in Lithuania's domestic and foreign policy. This presidential address will be held during a particularly tense political situation. The Seimas National Security and Defence Committee (NSGK) has just concluded its investigation into the illegal links of politicians and business. At the same time, the courts have opened the MG Baltic group's trial proceedings for charges of political corruption, where accusations were levied not only to the business group, but also the Liberal Movement and Labour Party, as well as certain other politicians. No less confusion was raised by State Security Department (VSD) information intended for the NSGK, which was leaked in May and revealed that certain individuals were monitored for over a decade. In April, the public also could see correspondence between D. Grybauskaitė and now accused former Liberal Movement leader Eligijus Masiulis. Emails from the tulpes@lrpk.lt email, whose authenticity the president claims she cannot confirm, revealed rather unsavoury back stage details of political life. The majority is descending into an ever deeper conflict with the head of state and in this context has spoken of plans to extend the political corruption investigation, hinting that the president could also be called upon to provide answers to the Seimas. On Friday D. Grybauskaitė declared to news media that it is Lithuanian Farmers and Greens Union (LVŽS) leader Ramūnas Karbauskis' activities that run counter to the Constitution because the politician is the chief shareholder of Agrokoncernas. These scandals have influenced the public perception of the head of state. According to a May 4-12 survey by Vilmorus, the number of those positively evaluating the president has declined by over 10%, from 66.5% to 55.7%. At the same time, the number of individuals who view her negatively rose from 18.5% to 27.5%. Await a hurricane or detail criticism? The board chairman of the agency Fabula Mykolas Katkus emphasised to Delfi that Tuesday's presidential address will be the last of the president's term. Next May, the presidential elections will be held to elect a new head of state and according to the law, D. Grybauskaitė cannot participate. "So far the president always had a clear vision of how the Lithuanian political system should develop. She would always draw up certain guidelines – what is good, what is bad and so on. D. Grybauskaitė would usually not get involved in partisan politics, would remain above the parties, perhaps for the first time since the conflict with Viktor Uspaskich over the appointment of ministers in 2012, now the head of state is once more a figure in partisan politics, not distanced from it. It is very interesting, what she will say in this context and what influence it may have on everyone else," the public relations expert stated. M. Katkus also mulled on how the head of state will overcome the challenge to her from the ruling "Farmer" leader R. Karbauskis, efforts to involve the president into competitive clashes, equalising her with the opposition Conservatives. "It is interesting, whether she will lower herself to R. Karbauskis' level or if she will remain above it. Another matter is how the president will manage to do so, remaining relevant and important. Correct or incorrect, but the newest ratings have revealed that the so-called "tulip" [tulpė – tulips] correspondence raised certain doubts regarding the president. It is an interesting question, whether during her annual address, D. Grybauskaitė will be able to return to the presidential role and not remain in the space of political bickering," the expert noted. When asked, what accents in the annual address would help the head of state overcome the challenges, M. Katkus stated he is no advisor to D. Grybauskaitė, but noted that there are a number of approaches. "She can, as a number of times before, employ an overwhelming hurricane of criticism. It would usually work. Such harsh criticism can be expected now as well. Another way is to seek to find more positive bases in the political field. If the president is not above the parties, then we must start talking of how there are better parties, but also worse ones. It would be more of an effort to "play" politics than was done ever before," the expert stated. He noted that for a time the impression had formed that the president has seemingly come to terms with her declining personal importance and the past few annual addresses were more moderate. "It will be interesting to see, how her level of "aggressiveness" will change in the face of the current challenges. Perhaps she will still seek to find a more peaceful solution, will choose to criticise not the fundamental issues, but the details. However, I somehow doubt it. I suspect that the president will attack tempestuously," M. Katkus spoke. Communications expert Arijus Katauskas, meanwhile, stated he believes that it is most important for the head of state to not lower herself to the political clashes in Seimas. "D. Grybauskaitė is the president. What we are now dealing with is less so matters of the state, but those of individuals. Certain political opponents in Seimas and some already arising presidential candidates are trying to tangle the president into personal exchanges. As such, the focus of the annual address should be on the matters the state has achieved this year, what the president has personally achieved and not be embroiled in some sort of conflict, being the individual, who has a broader view than a short-term career and what is currently in the public space. I believe that it will be the main message the president will convey," he emphasised. Communications consultant Linas Kontrimas believes that during the upcoming annual address D. Grybauskaitė, who is concluding her second term should review where and in what political processes she personally participated, what she saw and how she views it all. "But this would be an idealistic viewpoint. It is hard to say whether it will happen. Based on the questions that are being raised by the political majority, she will likely not dare to unveil the details, which interest us and which she likely knows. First and foremost I am talking about her first term and cooperation with the Conservatives. Specifically then a certain relationship style developed between her and both the executive and legislative branches, as if an agreement that she represents the state in positions where realistically it should be the prime minister, who does it. But speaking of the annual address, the president will likely as usual not wade into political depth or do a historical review. She will likely be content with a superficial naming of details and criticism to the current government, specifically the LVŽS," L. Kontrimas mused. He explained that an important detail is that the president will end her term while the current majority is still in power. "In other words, everything could happen: it cannot be dismissed that with D. Grybauskaitė leaving her post, the current government could take up investigations over certain political questions that prior governments didn't dare. As such it is important, whether in her annual address the president will reveal, why her work methods were as such, what she sought, what vector she had during her work and where she directed Lithuania. Now would be the most suitable time because after the address the president will work for a full year yet, during which she can dot the i's and cross the t's," the consultant spoke. According to L. Kontrimas, if the president would present information in the address, which would reveal another side of current events, she would likely be able to regain her support. 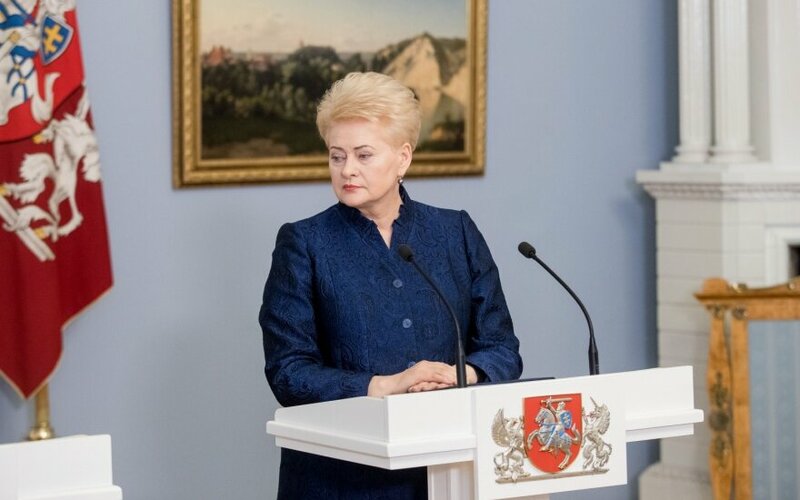 "What D. Grybauskaitė did decisively before, acting through hints, for example mentioning the rise of oligarch power, but presenting neither facts, nor proof, only stating that she knows something, that would not work in this case. If she wants the address to increase her ratings this time, it should be specific and aimed at the facts. By putting emphasis in this situation, the president could add the information she knows, no longer hide behind ambiguous phrases. If she wanted to say that not everything is as the Seimas has revealed or if she has more information, now is the time to do so," he said.